Our blue women's dress socks were made for bold women. Put a pair of bold blue socks and wait for the compliments to roll in. Something old, something new, something borrowed, socks in blue. Okay, so maybe we wouldn't suggest you wear blue socks under that wedding dress... or would we? You won't find any judgment here! To really get people's attention, pick a fun pattern like striped, polka dot, floral, or novelty. And if you think blue just comes in royal, you couldn't be more wrong. Find teal, aqua, turquoise, navy, and powder blue socks here. Plus, no-show, ankle, standard, and knee high socks all feature blue. 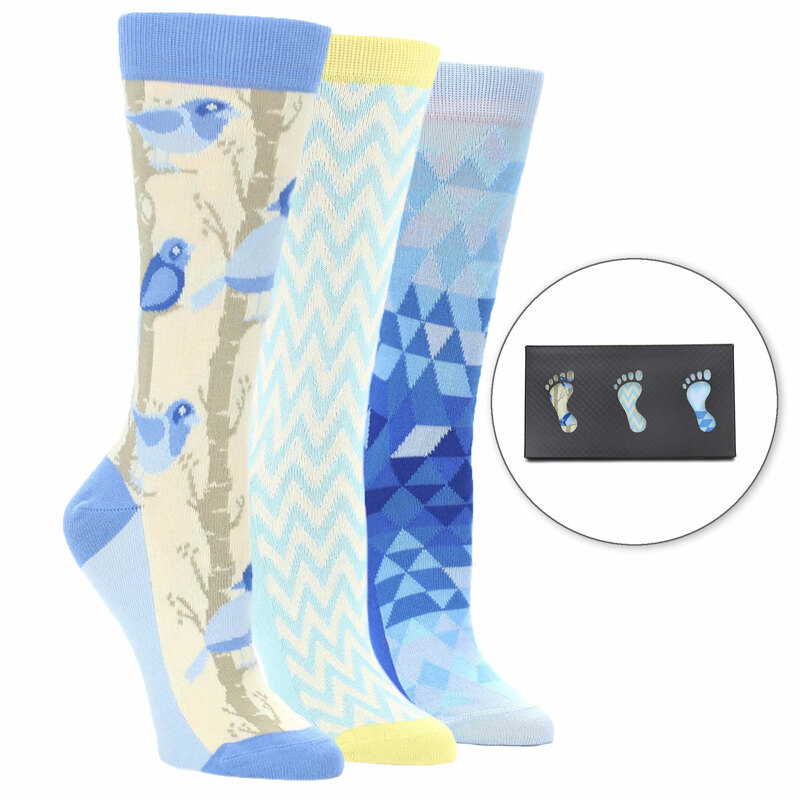 Whatever shade, pattern, and height you choose, one thing is for sure: you will not be feeling blue in a pair of funky blue socks.